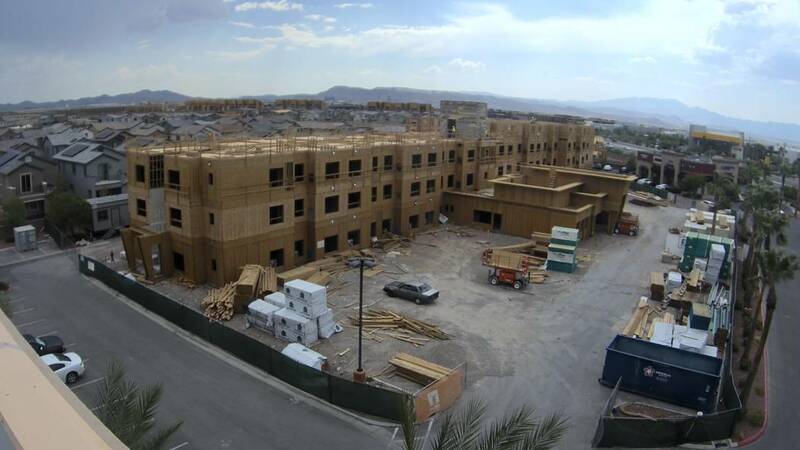 TMC Financing has announced that its client, Nigro Development, has begun construction on a new Residence Inn by Marriot in Henderson. The project is made possible thanks to an investment from TMC Financing under the Small Business Administration 504 loan program. The agreement between TMC and Nigro will provide long-term financing for construction of the 115-room hotel. “Our SBA 504 loan covered the purchase of the land, construction costs and equipment,” Hunter said. Located at 3225 St. Rose Parkway, the 90,000-square-foot property is expected to cost approximately $16 million to develop. “We’re committed to delivering quality in every property we develop, and a big part of that is ensuring we have the proper resources to bring the project together. Working with Chris and the team at TMC is critical to that equation,” said Todd Nigro, co-owner and partner of Nigro Development and its affiliates. The longtime Las Vegas company, which was founded by father Edward M. Nigro, and is currently owned by Todd and his brother, Michael Nigro, has developed retail, commercial and residential properties in the valley since 1979. The SBA 504 real estate loan program provides financing for the purchase of real estate and fixed assets, such as buildings and machinery, at below-market rates. The program disperses loans among the business owner, a conventional lender and a certified development company. TMC Financing is one of the largest providers of SBA 504 commercial real estate financing in Nevada and California, and the leader among hotel lenders nationwide. Since its founding in 1981, the company has provided funding to more 5,000 projects totaling more than $9 billion in value. Construction has already begun on the new Henderson property, near the corner of St. Rose Parkway and Seven Hills Drive. The project is projected to be completed in April of 2019. The U.S. Small Business Administration 504 loan program allows small-business owners to finance commercial real estate and other fixed assets with long-term, below-market, fixed interest rates. SBA 504 loans can be used to finance the total project cost, which can include the purchase price, construction/renovations, equipment, soft costs and closing costs. A typical 504 loan project requires a down payment of only 10 percent of the TPC from the borrower, with the remaining amount split between a first mortgage provided by a commercial lender and a second mortgage provided by a certified development company. By enabling owners to keep their capital working to grow the business and create jobs, the 504 program provides long-term stability to both businesses and communities. Business owners can confirm they meet the qualifications for an SBA 504 loan by visiting the TMC Financing website. Founded in 1981, TMC Financing is the largest provider of SBA 504 commercial real estate financing in Northern California and Nevada. TMC consistently ranks among the top CDCs nationwide, funding projects worth more than $9 billion across California and Nevada. More than 5,000 businesses have benefited from this financing, resulting in the creation of an estimated 60,000 jobs. For more information on SBA 504 loans and the local businesses they support, visit tmcfinancing.com.